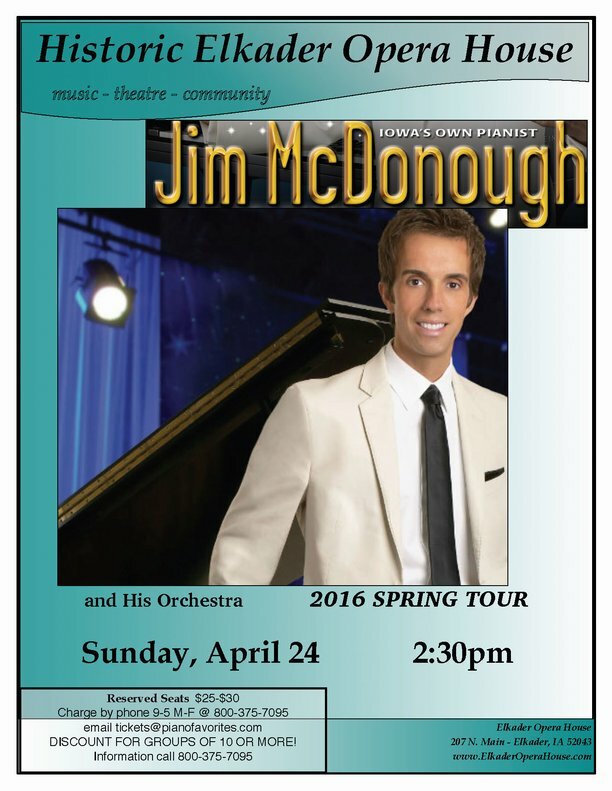 Sunday, April 24th 2:30 p.m.
$25 – $30. All seating is reserved. DISCOUNT FOR GROUPS OF 10 OR MORE! For information, call (800) 375-7095. Bring the kids to the show! The Elkader Opera House Board is proud to announce a new Student Rate. Students through high school can now attend Opera House Board sponsored events for just $8.00.